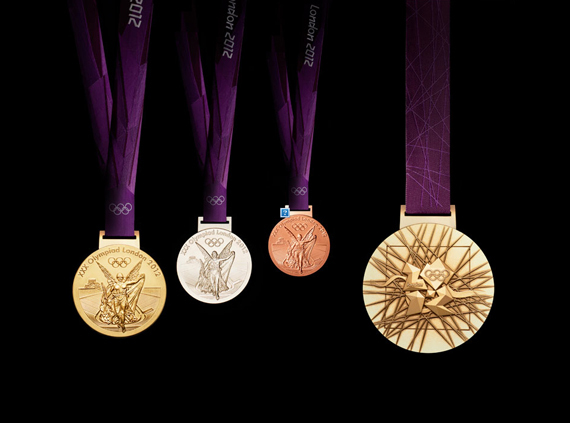 This is what I call hardware check out the London 2012 Olympic medals designed by British artist David Watkins. The Olympic medals disk circular form is a metaphor for the world. The front of the medal always depicts the same imagery at the summer Games - the Greek Goddess of Sport - 'Nike' - stepping out of the depiction of the Parthenon and arriving in London.